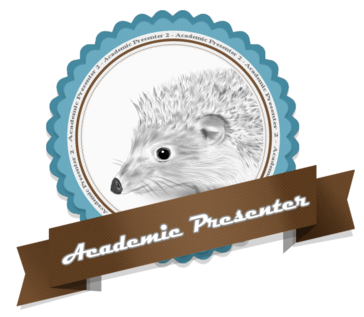 Academic Presenter is a software which enables users to prepare a special type of vector-based presentations. "average training required to use software efficiently"
I like the different styles of presentation that can be used with this software. Nonlinear flow is very simple format and when I switch to conventional linear, it gives all of the necessary details that are needed to review. It really does achieve substantial results in the customer service approach with this software. Also, you can use the software offline. I dislike that I can only get the free demo online. Also, it should include more support systems. The business problems that are trying to accomplish with Academic Presenter is to use it to create professional business presentations and also tell storytelling more creatively and efficiently for the younger users. The benefits are easier to get the main message across to other workers. Also, it raises more awareness in the activities and programs that are offered. "I strongly recommend this software!" When I was a college student, we usually were made to prepare presentations, we started by gathering required information, then arranging them in the form of a series of slides in Microsoft PowerPoint. We started our presentation with a table of contents, then speaking about each topic slide by slide. After 10 slides when presenter looked at audience, he/she would find them bored and lost in the slides. In other words, students would not recall table of contents, therefore they could not link different topics in their minds, so they could not follow the presenter. I always wondered if we could do something to avoid this problem. Before seeing Academic Presenter, I could not even guess that there could be another way of presenting materials. It showed me that there is a better way of presenting materials. After that, I realized that there are softwares with similar functionalities out there. But I found some of them too expensive regarding their functionalities and also very large in size. Nearly all of them were online. Something that is very specific to Academic Presenter is its respect to users' privacy. It is offline, letting the users store their important materials on their systems. Something strange about this software is its small size. It is very small in comparison to its rivals. With lots of built-in tools, it is not only stronger but also smaller than other ones. Also It is completely free! Everyone who uses PowerPoint must rethink about the way they make their presentations. Because in this software it is possible to always show and remind the mind-map to the audience. So, there is no need to table of contents, everything is graphical and lots of graphical effects can/will be implemented in it. And the final word, Programmers' supports and efforts are great and valuable. I think with users/reviewers' comments, this software can go up to the top very fast! I strongly recommend using it! As we know in all softwares, the more tools, the more complexity. It is unavoidable. The only disadvantage in this software is that if you want to learn it by yourself only, you should spend some time to learn how to use it. You may also find it very complicated to learn. But once you learnt how to use it, you would find it easy to work! Fortunately, there are lots of tutorials in FaceBook, thanks to programmers! Also there may be some bugs and lacks in it, but they are trivial and ignorable regarding its great functionality! It is risk free! Use it! Experience it! You will be attracted very soon! I am a Naval Architect. When presenting materials with this software, I have found great attentions of the audience. I think it is the first concern of each presenter and this software has a lot of things to reach this goal! "Absolutely fantastic, budget friendly software." This product is free, but works just as well as products I have spent money on. Not to mention, it combines the features of Powerpoint with the features of Prezi in one convenient package. It's really fast and flexible, and so easy to use. There are a lot of features and options. There are a couple of bugs that I think are getting fixed, and a couple of improvements in UI that could be done, otherwise, no complaints. Definitely try this software out! I was extremely impressed by the fact that it is free, but has so many different features. This software helps solve the problems of presenting and sharing information. It has the benefit of combining features that a program like Powerpoint and a program like Prezi would have separately, and is great in academic settings. * We monitor all Academic Presenter reviews to prevent fraudulent reviews and keep review quality high. We do not post reviews by company employees or direct competitors. Validated reviews require the user to submit a screenshot of the product containing their user ID, in order to verify a user is an actual user of the product. Hi there! Are you looking to implement a solution like Academic Presenter?